Changzhou Fengyuan Plastic & Rubber Co., Ltd. is a professional TPR,TPE,TR,TPV,TPO,TPEE materials’ manufacturer, which is committed to research and development, production and sales of TPR，TPE materials for more than 18 years. The demand of TPR,TPE,TR,TPV,TPO,TPEE materials is increasing rapidly with the expanding of its application fields. Now our TPR,TPE,TR,TPV,TPO,TPEE materials are widely used in footwear industry, carpet industry, stationery, tool wrap, wire and cable, automobile accessories, industrial casters etc. Our technical team is experienced in designing of differentiated and customized products according to our customers’ requirements, and they also actively participate in pre-sale and after-sale customer service in order to provide complete solutions and strong technical support to our customers and distributors all over the world. We have a number of large production lines to ensure timely and stable delivery. The sufficient laboratory facilities meet the testing requirements throughout the production process. The control of raw materials helps us to perfect our production formula. The random sampling & inspection in production process is an important means to ensure the stability of the quality. Our products are non-toxic and harmless. They have passed testing of the third-party testing institutions, such as SGS, to conform to standards of ROHS, REACH, PAHS and EN71 etc. With stable performance, excellent product quality and professional services, our TPR products are continuing in expanding domestic market, but also exported to many countries like South America, Southeast Asia and the Middle East, which helps our customers in reducing costs and creating more value. We will, as always, supply high quality products and service to our customers and look forward to deliver a profitable and sustainable growth to you as your reliable partner. 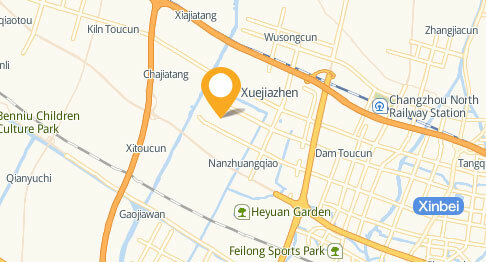 Welcome all the clients to contact us anytime anywhere. welcome everyone to visit our our factory.Looking forward to have a meeting with and build a long-term stable cooperation.